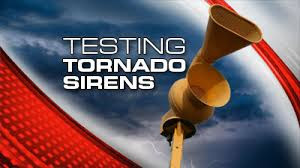 According to Warren Police Chief Shaun Hildreth, the City of Warren will test the tornado siren system today, April 12, 2019 at noon. With some severe weather expected on Saturday, the city has decided to test the sirens today. Please be aware that this is just a test.